Ban the Burqa: the latest moronic and racist proposal from the LNP and Palmer party. “Ban the Burqa” is now the in vogue racist and xenophobic proposal coming from the fringes of the LNP and Palmer party. Probably capturing many of the irrational fears Australia’s have about “Scary Muslims”. I have already seen on Facebook a “Ban the Burqa” meme going around, tellingly being shared from the “British National Front” Facebook page. I am sure Hitler would have really endorsed this type of legislation. 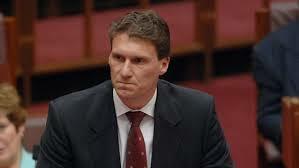 As if banning what a person is chooses to wear on their face is not oppressive and fundamentalist seems to allude dummy dumb dumb Cory Bernardi. 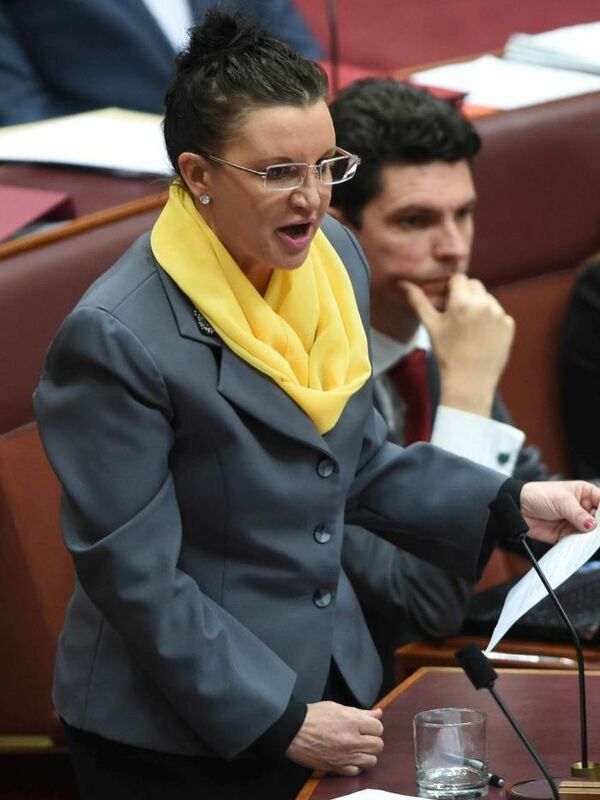 Then Senator Lambie chips in and backs those remarks. The opposition leader, Bill Shorten, rejected Lambie’s comments, saying he agreed with the communications minister, Malcolm Turnbull, that this was exactly what the Islamic State extremists would want. Surely it’s just that simple. Tony Abbott’s recent choice to send troop to fight ISIS and these latest arrests will further the justifications for these type proposals, as ISIS/ Muslims are once again become the sinister threat lurking next door. The logic and rationalisation of “banning the burqa” is severely narrow-minded and actually quite moronic. Well thanks for permission to do what we want in the privacy of our own home, that real generous of you Lambie. Yet unless we are breaking the law can’t we also do what we want in public? How a burqa is a threat to the safety of children and families I have no idea and I don’t think they do either, but it sounds frightening when said in that way. As it conjures images of a burqa wearing terrorist with AK47 opening fire on playground of school children. So goes this pea-brained logic. Even if you go along with is gross infringement of human rights, isn’t wearing a burqa something that will bring more attention and suspicion to a person than a non-burqa wearing terrorist? With this kind of racist logic shouldn’t they be demanding all women wear a burqa? As then we could clearly identify and pigeon-hole the potential wife of a terrorist or terrorist in drag. 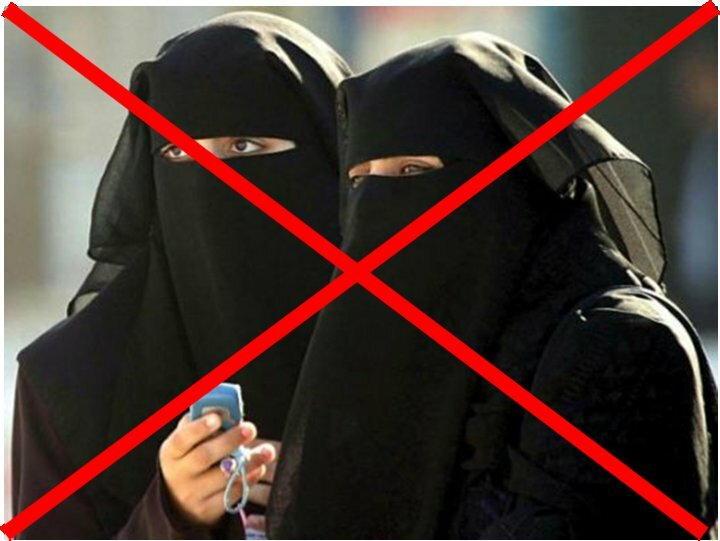 The idea of actually banning the burqa runs against all basic understandings of what it is to live in a free society. I personally don’t like the logic behind it and find it somewhat backwards and chauvinistic but I respect that it is that person’s right to wear whatever the they want. 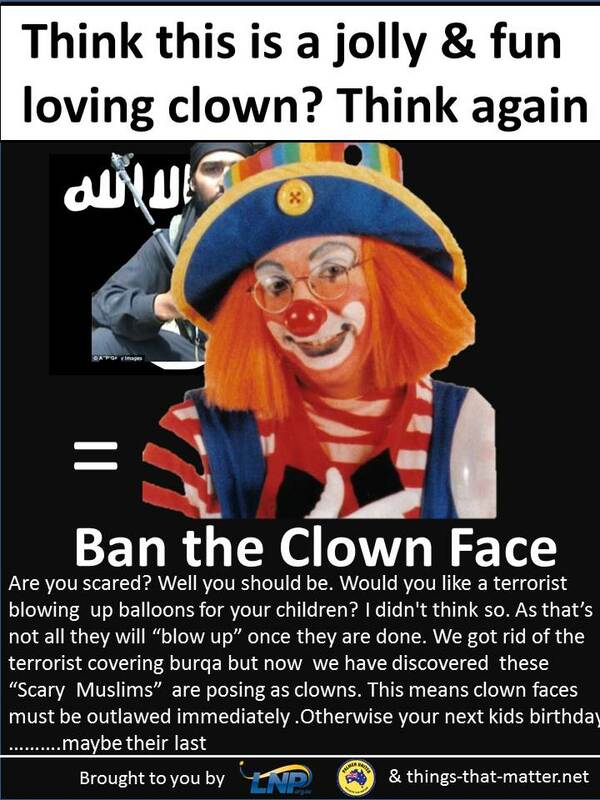 Being a friendly Bozo the clown is perfect cover for terrorist to infiltrated children parties and blow them all up. What about banning Grouch Marx fake glasses and moustache? Everyone loves this look ,it’s a classic and it’s so funny, which makes it the problem. 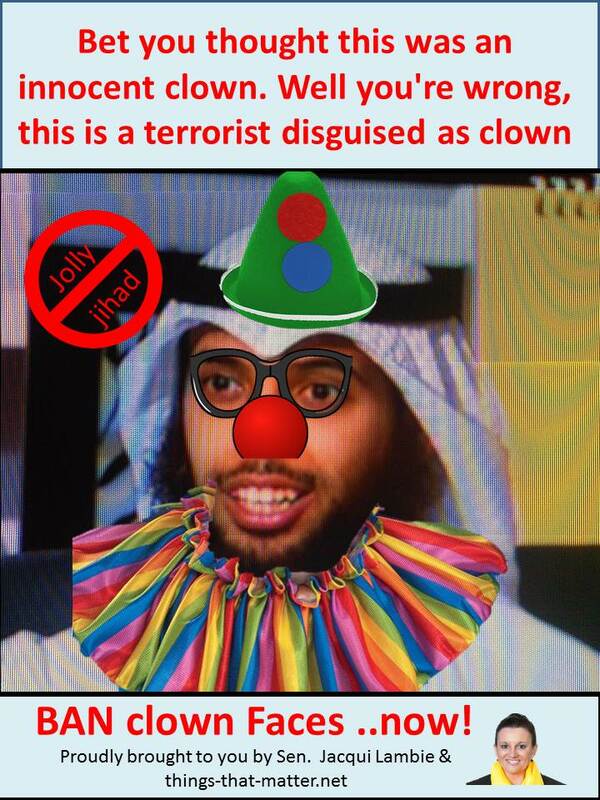 When we encounter this jolly disguise peoples guards are down which is perfect time for a terrorist to behead them. Probably without any trace of irony and self-awareness at all. Who actually elects these morons is just beyond me. Sorry Jessica, your point is? A Hitler type figure would be the answer to the worlds problems? My english sentence structure needs work but “far right are there instead no problem” Im struggling to work out what you are trying to say.